Pam Luckhurst has provided counselling in Calgary since 1987; in private practice, hospital-based mental health programs, and school and residential treatment settings. She has experience working with children, adolescents and families, and she provides expertise in a wide variety of areas. 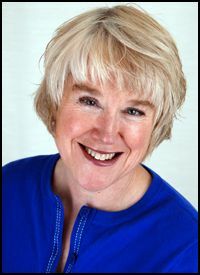 Pam helps clients resolve their symptoms by developing a positive connection with their emotional world. She has had great success in treating clients with symptoms related to issues in their work environment, depression and anxiety, behaviour problems, ADHD concerns, and concerns related to separation and divorce. Ms. Luckhurst is also an experienced marital therapist, working with the emotionally focused therapy model to help clients resolve marital concerns. Pam is a Registered Psychologist and a Registered Social Worker. She is an Approved Supervisor and Clinical Fellow of the American Association for Marriage and Family Therapy (AAMFT), and a Registered Marriage and Family Therapist in Canada (RMFT). She is also a Provider for First Nations and Inuit Health Medical Services and a Provider for Veterans Affairs. Take the first step – make an appointment or contact Pam by phone or email.